PUCL Punjab-Haryana expresses deep concern over the health and well being of Sh. Surat Singh Khalsa who has been on a fast unto death for the last 68 days, and the indifferent and insensitive response of the Punjab government. 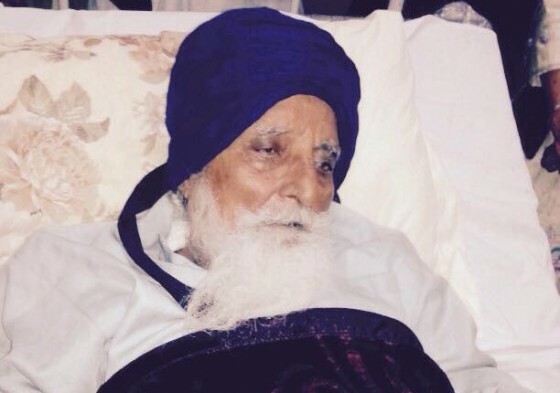 We fear for the health of Bapu Surat Singh, considering his age and poor health. It is imperative the Punjab Government responds with a sense of urgency and alacrity to the democratic demands of Bapu Surat Singh who seeks release of all prisoners who have completed their terms of imprisonment but have been kept in jail for many years. Baba Surat Singh has been on a fast since 16/01/2015. Initially the government did not respond; however on 08/02/2015 he was detained, and forcibly brought to Civil Hospital, Ludhiana under police cover. Till 26/02/2015, there was no restriction for his family to take care of him and to be with him. However in order to break his resolve, the police undertook inhuman and unacceptable practices; first his family was prevented from being with and taking care of him. Next, restrictions were placed on visitors and visitors were intimidated and scared off by the police by noting down their personal details and mobile phone numbers with the warning that they will get into trouble if they continued to visit Bapu Surat Singh. On 26/02/2015, 4 persons were taken into custody; this included Ravinderjit Singh, son of Sh. Surat Singh Khalsa, as also Surinder Singh, Gurbinder Singh and Damandeep Singh. 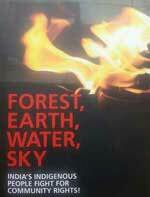 Two of them were released on the same day and Damandeep Sin was released in early March. But Ravinderjeet Singh, Baba Surat Singh’s son has still not been released and continues to remain in jail. PUCL is shocked by and also condemns the cruel and callous manner by which the Punjab Police with the support of the medical authorities, have reportedly stitched a food pipe to his forehead to force feed him thereby breaking his fast, in a manner reminiscent of the way in which Irom Sharmila has been force fed over many years in Manipur. Apart from being an outrageous tactic adopted by the Punjab police and medical authorities, we are extremely disturbed to hear that Bapu Surat Singh is suffering from an infection due to the stitching of a food pipe on his forehead in a manner which is unhygienic, unscientific and against medical ethics. Such an act of stitching the food pipe to his forehead, if true, amounts to inflicting torture, inhuman, cruel, degrading and illegal treatment. Bapu Surat Singh is engaged in a non-violent, democratic act of asserting his democratic right to protest; he has a right to a dignified life and dignified way of going through his protest fast. The state is denying him this right to protest with human dignity. PUCL expresses concern that Baba Surat Singh has been detained under the provisions of sections 107/151 of the Cr.P.C., without following the due procedure. PUCL believes that given the law of the land, there is no reason for not granting bail to those arrested. It must be reiterated that Bapu Surat Singh Khalsa was a teacher in government primary school throughout his life, till he resigned his government job in 1984 as a protest against the mass killings of the Sikhs. In 1986, he went to jail for the release of Sikh prisoners arrested in connection with the 1984 anti-Sikh pogrom and Operation Blue Star. He has been active in public protests demanding justice and accountability for human rights excesses right from the time of opposition to Rajeev Longowal Accord to re-entry of the police forces into Golden Temple in 1986 to release of Sikh political prisoners who have completed their term of imprisonment. It should be noted that despite being imprisoned for one year under the National Security Act he was not prosecuted for any offence. Bapu Surat Singh s a passionate advocate of human and prisoner’s rights not just in Sikh causes; he participated in number of protest movements for the similar human rights cause elsewhere too. In the 1st Anna Hazare agitation in New Delhi, when Anna was on hunger strike fast from 05/04/2011 to 09/04/2011, Bapu Surat Singh also remained on fast in Ludhiana in support of Anna agitation against corruption. PUCL respects the fact that Bapu Surat Singh was forced to embark on a fast unto death for the release of political prisoners who have completed their terms of imprisonment and been in jail for long years due to the insensitive and uncaring response of the Government of Punjab to earlier non-violent, democratic protests and programmes by him and others. He returned from the US in November 2014 (where most of his family resides, though he himself remains an Indian citizen) and sat on public protest by denying himself food at his ancestral village Husanpur, Ludhiana on 16/01/2015. The Punjab Government has claimed that the release of political prisoners in Punjab is also not being processed because of the interim stay by the Hon'ble Supreme Court of India in a 5 judge bench matter titled Union of India v. Sriharan @ Murugan & Ors., regarding the interpretation of the relating to remissions and release of prisoners wherein the SC has stayed the release of life convicts across the entire country vide order dated 09/07/2014. However, at the same time, PUCL believes that legal and political options exist with the Punjab and Central Governments, and since the SAD led Punjab government and ruling party at the Centre are part of the ruling coalition (NDA) in the Centre, and thus even if the SC has denied relief, as claimed, of vacating the stay on remissions /release of life convicts, the State Government can always attempt to persuade the Union Government to take up the issue with the SC by filing a interim application, as the Union of India is the petitioner in the said case. PUCL believes that the arrest of people on 26/2/15 (or thereabouts) including Surat Singh's son, subsequent release of two persons and continued incarceration of two persons clearly supports the inference that these acts are meant to intimidate, silence and crush both the protest and any possibility of democratic support. PUCL believes that the Punjab Police and Punjab Government are not only engaging in scare tactics and intimidation but actually doing acts which constitutes a brazen violation of human rights and fundamental rights to peaceful, non-violent protest. · PUCL demands that the Government of Punjab immediately ensure the safety and good health of Bapu Surat Singh by removing the food tube reportedly stitched forcibly on his forehead and allowing free access to him by his family members and supporters. · The Government should also come forward with a concrete action programme to meaningfully address the human rights issues raised by Bapu Surat Singh thereby enabling him to end his fast, by using all legal and political options available. · PUCL also demands that all persons who have been arrested/detained in connection with the peaceful fast by Bapu Surat Singh, and those arrested/detained for raising the issue of release of political prisoners in Punjab may be released immediately.